As tensions between Russia and the West have increased since the 2014 Invasion of Crimea, the Baltic States — Estonia, Latvia, and Lithuania — are among the most worried about what this more polarized reality means. Between 1939 and 1991, the three Baltic states were under Soviet rule, and now aren’t particularly keen to relive those days. A new Estonian movie named In the Crosswind helps us better understand why that’s the case. Estonia, like the other Baltic states, is bordered by the Baltic sea on one side and Russia on the other. Today, as part of the European Union and NATO, it’s enjoyed newfound prosperity and success in areas like technology (E-Stonia, as it’s sometimes nicknamed, is where Skype was founded). However, by virtue of geography and a small population (Estonia has just over 1 million people), it fears Russian encroachment… and there’s historical precedent for that. Between WWI and the start of WWII, Estonia and the other Baltic states were independent. However, when Germany and the Soviet Union signed the Molotov-Ribbentrop Pact in 1939 and temporarily became allies, Stalin strong-armed all three Baltic States into joining the USSR since he now had a free hand to operate without German encroachment. In order to cripple the society of these Baltic states, Stalin deported tens of thousands of Estonians, Latvians, and Lithuanians to Siberia in 1941, right before Germany broke the Molotov-Ribbentrop pact. These people were important elements of Baltic society — politicians, military officers, academics, landowners — and Stalin thought shipping them and their families, including women and children, in cattle cars halfway across the world would be a great way to stifle opposition to Soviet rule. In the Crosswind offers a highly artistic — but not inaccessible — portrait of this deportation. The film is inspired by a series of letters that a real-life Estonian woman sent from her Siberian forced settlement in the hopes of reaching her husband, who like other men had been separately imprisoned. What’s extremely unique aboutIn the Crosswind is its cinematography — the entire film is shot as a series of tableau vivants, a.k.a. “living pictures” in which all the subjects and scenery are still, but the camera moves deftly around to tell a story. These tableaus illustrate scenes that arise as the film’s protagonist narrates her letters from Siberia, allowing you to feel like you’re traveling back in time to view someone’s memory. In real life, the Baltic deportees weren’t allowed to return to their homes until after Stalin’s death in 1953. By that time, many had died at the hands of brutal working conditions, hunger, sickness, or execution — one estimate posits that 60% of Estonian deportees died. 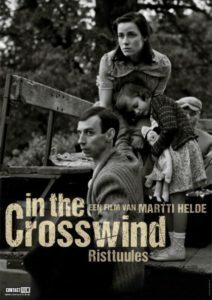 In the Crosswind stays faithful to this reality, showing the sacrifices and humiliation of deportees and stretching all the way from 1941 to the early 1950s. After watching In the Crosswind, you’ll begin to feel just how traumatic these deportations were for the Baltic states. If your grandparents and relatives went through this under Stalin, it’s logical to fear that the same might happen under a different authoritarian leader in Moscow. In the Crosswinds (Estonian: Risttuules) — Estonia. Dialog in Estonian. Directed by Martti Helde. First released March 28, 2014. Running time 1hr 30min. Starring Laura Peterson, Ingrid Isotamm, Mirt Preegel, Tarmo Song, and Einar Hillep. Want to watch In the Crosswinds? Stream it today on MovieSaints!